L-Carnitine is an all natural amino acid which is involved in energy production, and it is one of the best known and more widely used supplements. Our bodies are able produce their own supply of L-carnitine, and it is also found in meat and poultry. L-Carnitine has been the subject of much scientific research which has confirmed the benefits of supplementation. L-Carnitine is a supplement with a number of different uses, and while you'll find it in a wide variety of supplements, it is probably best known for its properties as a fat burner. Carnitine plays a vital role in transporting fatty acids into the mitochondria of the cell where they are burnt for energy, and research has shown that more carnitine in the muscle results in more fat being burnt as an energy source during exercise. Using a greater proportion of fat for energy during exercise means the body is using less glycogen, meaning in turn that muscles can work for longer without becoming exhausted. L-carnitine also improves endurance by acting as a cellular buffer, neutralising the metabolic by-products of exercise which contribute to muscle fatigue, like lactic acid. Carnitine has also been praised for its ability to enhance recovery, in part, due to its ability to stimulate the body's response to insulin which replenishes cellular glycogen. It has also been shown to enhance muscle repair and the cellular remodelling that accompanies new muscle tissue. 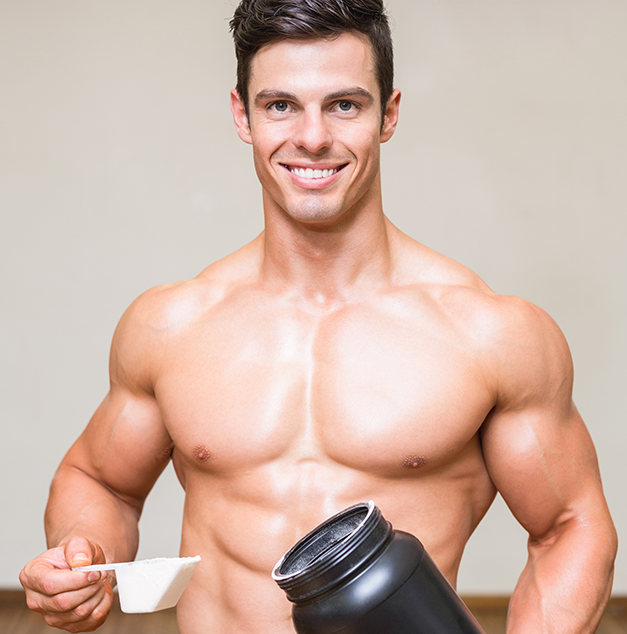 Research has also indicated that L-carnitine plays a role in boosting the number of testosterone receptors, enhancing nitric oxide production, and it may facilitate the action of anabolic hormone IGF-1. A usual carnitine dose is between 500mg and 2g per day, and this is sufficient to aid fat burning, promote endurance, enhance recovery and benefit from the ergogenic effects of this amino acid. Uptake is a very important consideration with carnitine, and a lot of research has shown that it is best absorbed when it is taken together with a large dose of carbohydrates - 60-80g. Oral carnitine has been shown to increase the levels of muscle carnitine, but some studies have shown that meaningful increases can take up to six months to occur. People commencing L-carnitine supplementation should commit to at least six months of use and evaluate effectiveness after this time. It is not necessary to cycle carnitine. L-Carnitine comes as a powder which mixes easily into most beverages, or as an easily swallowed capsule. L-carnitine is usually taken before exercise to promote fat burning and endurance, or afterward to enhance recovery. A good compromise is to split the desired dose into two and take half before and half after training, making sure to pair it with a source of carbohydrates. Because L-carnitine accumulates in muscle, it is fine to take at any time of day, and because of the carbohydrate requirement for absorption, it is best taken with a main meal.